Edward Hopper, especially that painting of the gas station at night—Gas (1940)—was my inspiration for a lot of the songs I made up with my band The Modern Lovers when I was a kid. Especially “Roadrunner” owes to that gas station painting, but any songs I made up about lonely nights on lonely highways and the way lights were like friends in the dark. This is what “Roadrunner” was about. The Velvet Underground covered this kind of stark, lonely feeling of wonder and had a sound which, with its drowning darkness, felt right for my explorations into bleak, modern-world terror. That plus Hopper was a big part of my starting music. From the Art News Muses column by Jonathan Richman. 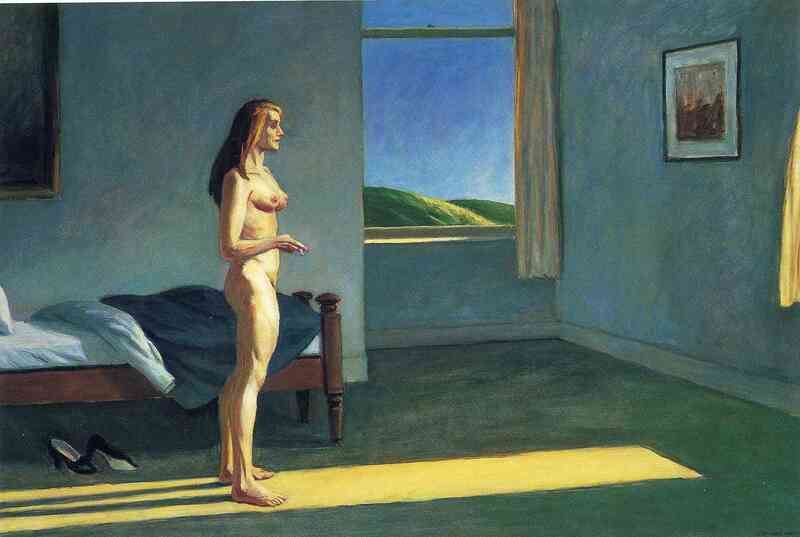 Sunday, 1926 by Edward Hopper (1882-1967). Edward Hopper wrote “Notes on Painting” in 1933 for his first (and somewhat controversial) retrospective exhibition at the Museum of Modern Art. The statement was preserved in a 1959 interview with John Morse.